Permanent Makeup is cosmetic tattooing. Tattooing is preformed in one of three ways, a hand tool, a rotary machine, or a tattoo machine. The goal is to get ink into the dermal layer of the skin where it will stay. A hand tool, rotary machine or tattoo machine pushes the ink into the dermal layer of the skin where it will stay after it heals. The effectiveness of any tattooing method will depend on the skill level of the artist, ink used, the canvas of the client, and your after care routine. Tattooing is an art and not a science and mutual cooperation is necessary to have ultimate results! The process includes a consultation, the actual work, one week healing time and at least one follow up visit for evaluating the healed work. A touch up visit is necessary to complete your Absolutely Beautiful Permanent Makeup outcome. Anyone male or female 18 and over can have Permanent Makeup. Who benefits from Permanent makeup? : Men and Women! Anyone with skin sensitivities or who are allergic to traditional cosmetics. Physically active women who want to look their best for sports like swimming, hiking, biking, tennis, and aerobics. Women who are visually and physically challenged with makeup application. 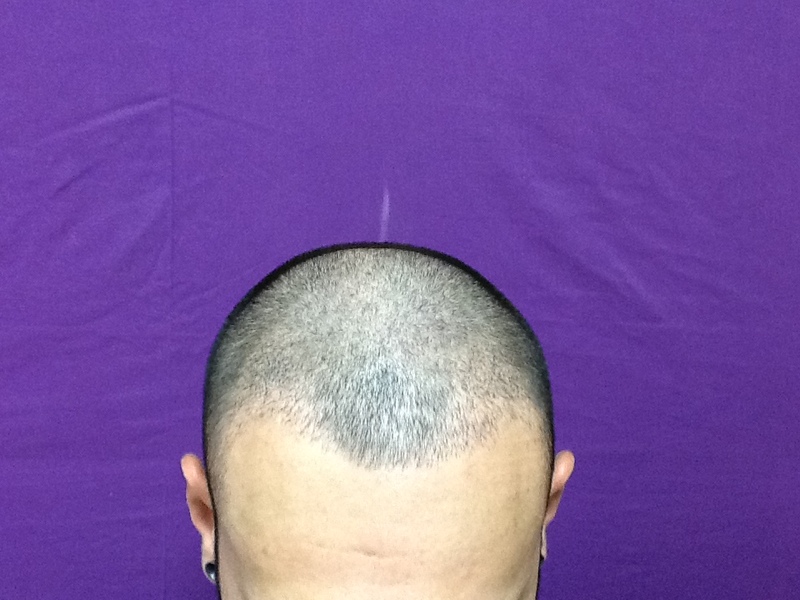 Men and women with alopecia. Men and women who have invisible hair. Men and women who cannot grow hair due to burns, scars or over tweezing. Men and women who desire symmetry or definition with facial features like lip boarders, eyebrows or hair lines. What Permanent Makeup Procedures are available? Lash Enhancing Top and Bottom Eyeliner in black or a color. Luscious Full Lip Color or Lip Liner, or Blend of both. How do I choose a Permanent Makeup artist? Choosing your Permanent Makeup (PMU) artist is important. Making an appointment to go and have a consultation is the first step in choosing the right PMU artist for you. Your consultation with a prospective artist should be free. ASK: How many procedures have you done? How long an artist has been in business is interesting, but some artists have more procedures under their belt in less time than the ones who have been around for a long time… How many procedures someone has done gives you insight into their experience level. Experience is more important than number of years! ASK: Do you pencil me in first? If someone cannot pencil it for you, don’t trust they can tattoo it the way you want. ASK: Do you give me after care instructions in writing? Aftercare is an important step in the beauty and longevity of your tattoo. If you don’t get instructions in writing, you will not care for your work properly. ASK: Are you Licensed with the Health Department, do you have a Business License and are you Blood Borne Pathogen (BBP) Certified? You should see four licenses on the wall: a Facility License, a Practitioner License, a Business License and a BBP Certification. If these licenses are not on the wall, the PMU artist is not compliant and could pose a health risk. ASK: How do you dispose of your needles? If they don’t say “sharps container” they are not Health Deptartment compliant, and they may not be well-educated in health safety issues. ASK: Are your inks up to date? Some Permanent Makeup artists use expired inks because they do not do a lot of procedures and they don’t want to throw away products they paid good money for. Look at their before & after photographs and make sure the pictures are their own, from actual clients, and not given to them by the ink companies or bought. Shape and color are important. Professionals have studied color theory and skin undertones so that they can help you make good decisions. After care instruction should be given in writing. I also have pre-procedure instructions and I take a medical health history to ensure the safety and success of any procedure I perform. There are medical conditions like fever blisters, knee replacements, and mitral valve prolapse that require special attention. 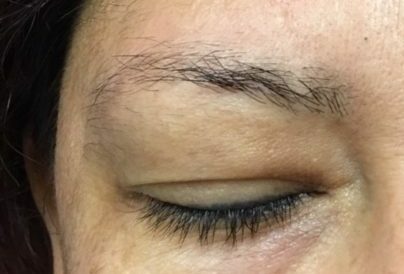 If your Permanent makeup artist is not looking for these things, they are not knowledgeable and could cause easily-preventable problems. Your eyebrow color should be selected based on your skin undertones and the color of your hair and eyes. Your Permanent Makeup Artist should make it easy for you to reach them. Price is important but not the most important thing when it comes to your face. It could cost you more to remove bad PMU later, than to pay for good PMU in the first place. Permanent Makeup procedures are only considered “permanent” because pigment is tattooed into the upper part of the dermal layer of your skin and cannot be washed off. However, as with any tattoo, fading can and does occur. Permanent Makeup requires periodic maintenance to freshen up the color. I have a reduced rate for my clients who come to me over the years to maintain their procedures. The longevity of Permanent Makeup varies from person to person, sun exposure, the color used for the procedure, after care applied, skin resurfacing chemicals, scrubs, oiliness/dryness in the skin all effect your PMU. Ask me more about this during your complimentary consultation! I run specials every month. Be sure to ask or look at my ads in Inland Empire Magazine, the Riverside Quarterly, or The Corona Coupon Express, but even if you don’t have a coupon I give it to you anyway! $50 for a color line in addition to Liner. Available colors in White, Beige, Green, Blue, Purple etc. 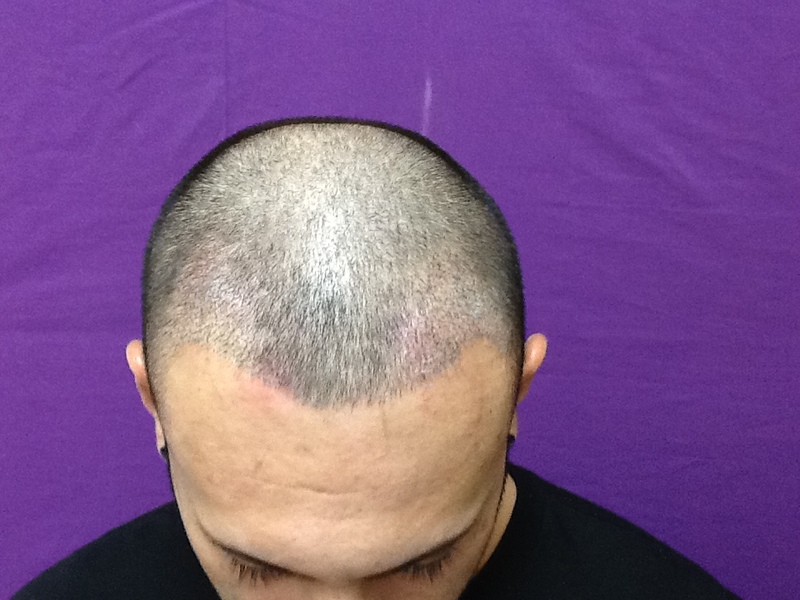 Scars or Scalp Stippling priced at the office. Your initial procedure will generally takes 1hr and you can add half an hour for any additional procedures. During this time, we will take a before and after picture, talk and pencil in your desired design and color, fill out paper work, numb the area, discuss the aftercare suggestions, and, of course, apply your Permanent Makeup. Touch up procedures usually do not require as much time. I use the highest quality of topical numbing agents available before and during the procedure. When asked to rate the pain from a scale of 1 to 10, ten being horrible, most clients give brows and eyeliner a 1 or 2. Lip procedure clients give it a 5 to 6 the first 10 minutes of the procedure, and then it drops down to a 1 or 2 after continuing to apply numbing to the area being worked on. The reason for this is that once I break the skin and re apply the numbing agent it gets number and number, as I work it gets better and better. Being a needle phobic person myself from the past, I am very gentle and compassionate about the process of getting my clients pain free! Yes, if performed by a licensed, certified, professional, If strict sterilization and disinfection guidelines are being used, if all pertinent medical health information is received and reviewed the Permanent Makeup procedure is completely safe. I routinely attend Occupational Safety and Health Administration (OSHA) classes to become well-versed on the latest safety principals. There are a few IMPORTANT things to look for BEFORE getting any Permanent Makeup applied. For your safety, I’ve listed them below. Your Permanent Makeup artist, and the room that they work from, should be clean and neat and have running hot water. All Needles should be new and sterile for each client. Needles should only be opened in your presence and disposed of in a Sharps Container, NOT the trash can! Disposable pigment caps to pour the ink and anesthetic into should be used and disposed of after the procedure has been completed. Disposable gloves, should be new for each client and changed during the procedure when needed. The treatment room or area should be in a space that is specifically used for Permanent Makeup. If you have had a knee or hip replacement or Mitral Valve prolapse ask your doctor if you need to be on an anti biotic before you have PMU. If you get fever blisters you must be pre-medicated to prevent an out break. If you have Glaucoma there needs to be a discussion about tolerance to eye pressure. If you have experienced a detached retina, you should have a doctors clearance before an eyeliner procedure. These are a few of the things a knowledgeable PMU artist should be asking to ensure your safety………..Remember your health and safety are more important than your eyebrows……….. I always tattoo conservatively so that on the touch up changes are easily made. Please note that colors will always appear darker and more dramatic immediately following your initial procedure, but they soften, shrink and lighten during your one week healing process. Most clients love it so much they want MORE! not less…..
Be patient. Trust the process….. Your follow up (touch up) appointment is included in your procedure pricing. Lip color can take up to three weeks to reflect the true final color because lips take longer to heal. Please be patient and call me with any concerns that you have and know I care about your Permanent Makeup success. Most side effects are minimal, though your reaction will depend on the amount of work performed, your daily diet and medications and your own body’s natural response to tattooing. Any redness or possible bruising will disappear in 1-3 days. Eyebrows do swell a bit, this makes them look thicker and darker than they will when they heal. Eyeliner could bruise and swell. Icing after the procedure helps! Be pre-pared with glasses to leave my office if you wear contacts. Lips can bruise and swell. Ice Ice Ice! I have a Pre-Procedure protocol I go through with everyone who makes an appt to help prepare and minimize swelling and bruising. If you are taking blood thinners, please speak to me in advance of your procedure, especially if it is an eyeliner. 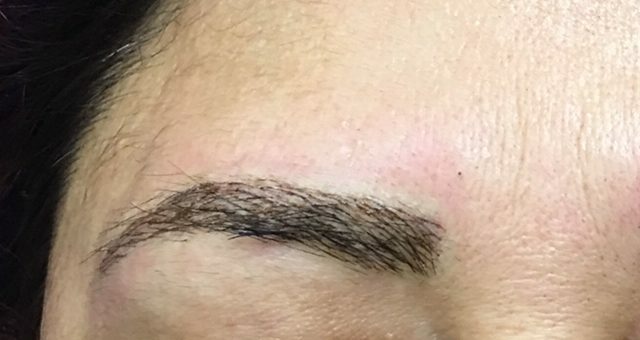 With any Permanent Makeup procedure, you may experience some tenderness for a few days. And your color will appear much darker than you may expect for the first seven days. Be patient, The color will soften. A professional Permanent Makeup artists will require a client medical history with pertinent questions before any procedure. So that I can assess different factors that may contribute to your experience please share any relevant information with me during your medical history so that I can ensure a successful, safe experience for you. 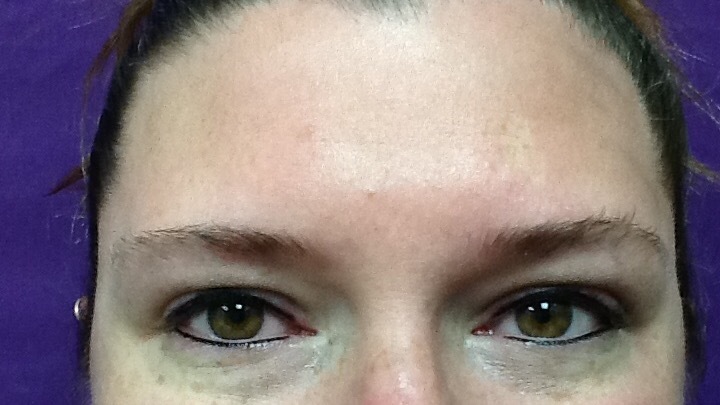 Do the Permanent Makeup pigments pose any allergy issues? But people can and do develop allergies to anything at anytime. This is possible with Permanent Makeup as well although I have never seen one in my office. What is found in the ingredients are also found in the body and allergic reactions are rare. Because Permanent Makeup pigment allergies are rare, some doctors even recommend that if you have environmental allergies, or allergies to conventional makeup, Permanent Makeup might be a good alternative for you because it replaces cosmetic products that you might be sensitive to. Are medical complications a possibility? There is always some risk that complications could occur due to having Permanent Makeup applied and that is why it is so important to choose your makeup artist carefully. Make sure they are knowledgeable about your health history, about your after care and about their own sanitation protocol. Read the section above Is Permanent Makeup Safe? Post procedure instructions, if followed carefully, greatly reduce any risk of complication. Medical problems associated with permanent cosmetics are often linked to prior medical conditions and poor after care. Make sure your medical health history and the after care instructions are thorough. Permanent cosmetic procedures are a process, and at least one follow-up to your initial procedure should be scheduled. The color will be much darker when it is initially applied, and it softens during the healing process. Please know that I tattoo conservatively to leave room for adjustments. It is my experience that most people need to get used to their fresh procedure, and I would rather have you come back and say, “I get it now, more please!” Your touch up appointment is included in the pricing. I do recommended that your touch up appointment be no sooner than two weeks after your original procedure. This gives your body a chance to heal, and your color a chance to settle in. Three weeks is ideal. Before you leave my office I will book your next appt unless you need to call me for a time. You may have seen the term ‘organic’ being used in relation to cosmetic tattoo pigments. This term simply means that the compound contains carbon atoms (usually a hydrocarbon). Most of the organic colorants used in tattoo pigments come from synthetic sources – meaning they are produced in a laboratory rather than originating from a natural source. Synthetic sources (those produced in a laboratory) allow the manufacturer to ensure purity of the pigment. To create an organic colorant, the manufacturer might start with a soluble organic dye, and turn it into an insoluble compound by adding a metal salt so that it does not dissolve in skin fluids. Even then, some organic colorants may have a pH solubility range, so it is important not to apply acids or alkali creams and lotions to your skin before or after your cosmetic tattooing as they may affect the tattoo pigment. Inorganic colorants do not have a carbon atom, and they are usually metal oxides and salts which might come from natural source such as ores. They can also be synthetically produced in the laboratory from refined raw chemicals to provide greater purity. Examples of inorganic colorants are iron oxides, chromium oxides, titanium dioxides, etc. The choice to use organic or inorganic pigment takes into consideration factors related to the use of the pigments such as how the color takes to the skin and how quickly it may fade with exposure to UV light (called “light fastness”). The debate over organic vs inorganic rages on, but the reality is that you can choose good quality colorants from both types. What your artist uses for your procedure will depend on your skin type, and your procedure. You can be confident that I am very careful with my selection of both the type of pigment and the source of the pigments. I only choose pigments that are specifically manufactured for Cosmetic and Medical Tattooing. I will only chooses the very best pigments for your specific procedure. Special thanks to Andrea Darby for her help with this FAQ!